Advancing the Kingdom at Work - Narrow Gate Trading Co.
God is a relational God. He is triune in nature and therefore models for us all the importance of relationships. He clearly states in Genesis, “It is not good for man to be alone.” From the beginning, God knew we would need each other and created us to need Him and one another! One of the Core Values at Narrow Gate Trading Co. is COMMUNITY. We take this core value very seriously because we realize that our community at work are the people we spend the most time with. Think about it…40 hours of every week, you are with the same people, working together to accomplish the same mission and learning and growing from one another all the time. Sounds a little like ‘church’…or what ‘church’ is supposed to be, except you may only ‘get together’ with your church once a week on Sundays or twice a week if you throw in that Wednesday night spaghetti dinner. 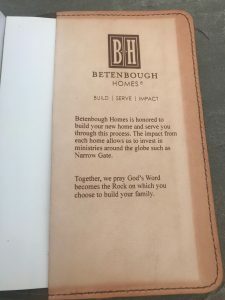 For the past 4 years, we’ve learned a LOT from the leaders at Betenbough Homes – who founded Kingdom at Work. As home builders, they realize the potential they have as marketplace ministers as they work side-by-side with homeowners to build a place that is safe, secure, beautiful and personal! 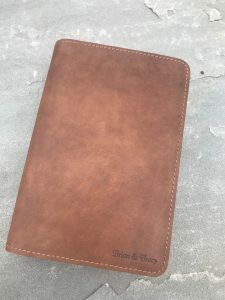 At the end of each project, at the closing of the home, the people of Betenbough Homes present each new homeowner with a leather-bound Bible, hand-crafted by the young artisans at Narrow Gate Trading Co. 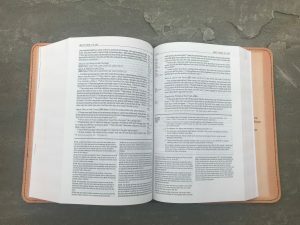 This Bible is a welcomed and cherished gift even if the homeowner isn’t already a ‘believer.’ The homeowner’s name is engraved on the front of the Bible, so for many, this may be the first (or only) Bible they get with their names on it! Narrow Gate Trading Co. is honored to be a small part of this process of getting the Word of God into people’s hands and homes. We personally have experienced the life-transformation that comes through reading and studying the Word of God and we know that these gifts are making a difference in people’s lives. That is why we do what we do! We create beautiful hand-crafted items that impact people’s lives! 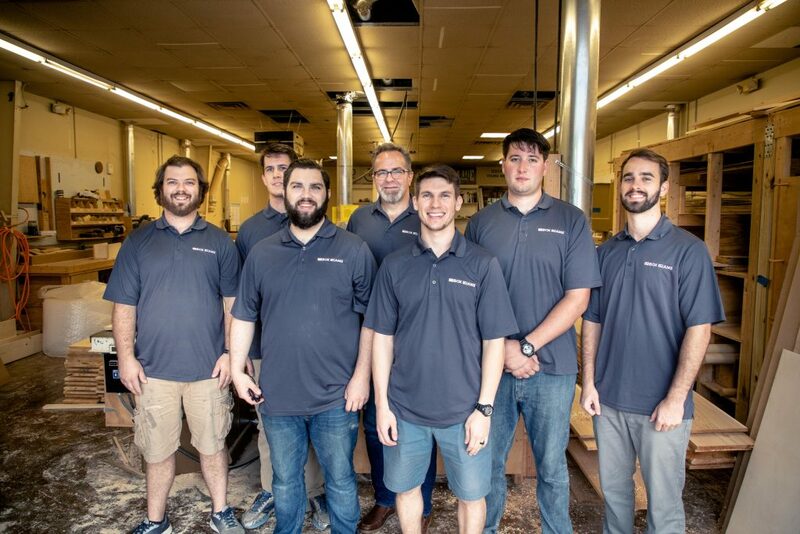 Our community of artisans here in Middle TN is making a difference in the communities where Betenbough builds homes – Lubbock, Midland and Odessa, Texas. When the Kingdom of God works together, we too can demonstrate our relational God and His desire to express His love to a lost and hurting world.